Memorial Day wasn’t a vintage Doc performance but he came through with a gritty performance when it really counted on a hot and humid afternoon. Touched for a season-high three homers, Doc was in hot water when the Nationals had runners on first and third with no out in the seventh. Dripping wet and over 100 pitches, he turned to fast balls to get out of the jam unscored. He fanned Werth on a high heater to end the inning. That’s the sign of a great pitcher. The Phillies wound up with their third win on this trip, all come-from-behind efforts (7th inning or later). Doc has won 11 straight decisions against the Nationals/Expos. He is also riding a 10-game winning streak against the Orioles. The back-to-back homers by Ryan and Raul came in the Daily News Home Run Payoff inning. Up until that time, there was only one $1,000 winner, back in April, a sign of the Phillies power shortage. A grand slam means $10,000 and LA has volunteered to add $10.00. Kind gentleman, he is. Monday was the 54th game, one-third of the season. They are 34-20. Only better record is 38-16, first done in 1976 and matched in 1993. Since Chase has returned, the Phillies have 35 extra-base hits. Don’t know how to explain that one . . . Phillies are 24-5 when hitting at least one home run . . . Night game Tuesday, followed by a day game Wednesday and a day off on Thursday, the first after 20 consecutive games. While many were enjoying Memorial Day, scouting director Marti Wolever and his troops began preparation for the First-Year Player Draft that starts next Monday. Joining Marti are Mike Ledna – National Coordinator, Bill Moore – National Coordinator, Darrell Conner – West Regional Supervisor, Brian Kohlscheen – Central Regional Supervisor, Gene Schall – East Regional Supervisor, Sal Agostinelli – International Supervisor and Steve Cohen – Texas Area Supervisor/Pacific Rim Coordinator. Ruben, his assistants Scott, Benny and Chuck, pluss Pat Gillick, Dallas Green, assistant scouting director Rob Holiday and baseball information analyst Jay McLaughlin will be in the daily meetings in the Draft Room, which is located on the Hall of Fame Club level, just around the corner from Ruben’s office. Wednesday night’s marathon win gave the Phillies 30 wins for the season. They earned their 30th win in less than 50 games (49th game) for just the 5th time in the last 50 years. The four other times were 2001 (30th win in 47th game), 1995 (30th win in 47th game), 1993 (30th win in 43rd game) and 1976 (30th win in 41st game). The 19-inning game fell two innings short of the longest game in club history, 21, a 2-1 loss in Chicago, 7/17/18. There have been 4 20-inning games and now 3 19-inning games. Oddly, the only road game in that list is the 21-inning one. Valdez became the Phillies 19th position player to take the mound. Tomas Perez was the previous one, .1 of an inning in 2002. The 6 hour, 11-minute game ended at 1:19 a.m. That’s not even close to the club record, 4:40 a.m., 7/2/93, against San Diego at the Vet. Anyway, the players had to hustle home, pack and get back to Citizens Bank Park for a 1:05 p.m. game on Thursday. Following Thursday’s game, the Phillies head for a nine-game road trip over the next 10 days. All nine games are against teams with losing records, three in New York, Washington and Pittsburgh. Thursday’s game ended 20 straight against clubs with a winning record. Saturday’s game is another prime time national telecast on FOX, 7:10 p.m. While Memorial Day is the official start of summer and picnics, it doesn’t mean the road trip will be a picnic for the Phillies. In their first four games at Citi Field last season, the Phillies didn’t score a run, losing 8-0, 5-0, 3-0, 1-0. Nationals Park in DC is a different story as the Phillies are 20-10 there, including 2-1 last month. But, PNC Park in Pittsburgh has been a real nightmare, 12-20. Phillies will use three different modes of transportation on the trip. Two buses will take the team to New York following Thursday’s game. An AMTRAK charter train will take them from New York to DC on Sunday. Then, the usual Delta charter flights will take the team to Pittsburgh and back to Philly. The five finalists in the Phillies Wall of Fame are (alphabetical order) first baseman John Kruk, catcher Mike Lieberthal, pitcher Curt Schilling, catcher Jimmie Wilson and pitcher Rick Wise. Fan voting on phillies.com was during a four-week period of spring training. Now, a special Wall of Fame Selection Committee consisting of baseball writers, broadcasters and team executives will decide the 2011 inductee. Winner will be inducted on Friday night, August 12, the start of the annual Alumni weekend. Ceremonies will begin at 7 p.m. While the Phillies are out of town for the Memorial Day weekend, fans can catch future Phillies in Lehigh Valley and Lakewood. Reading will be in Erie, PA, if fans want to take a long road trip. For a longer trip, you can drive to Ft. Myers to see Clearwater play. While I don’t have the figure for last season, in 2009 the Phillies used 49,536 baseballs, a cost of $346,752. When a ball goes in the dirt and is removed from play, it sometimes will sneak back in the game or most likely used for batting practice. Unfortunately, don’t know when this practice began or why. We’ve tentatively scheduled one for Thursday noon, August 11. When the details have been finalized it will be posted on phillies.com. Unfortunately, I don’t believe it has much value. Max pitched in four games with the Phillies in 1940 and nine with the Washington Senators six years later. His career record: 0-1. The Reds broke a 6-game losing streak, an 8-game losing streak against the Phillies and a 9-game losing streak at Citizens Bank Park. Madson, a perfect 7-for-7 in saves, saw his scoreless inning streak end at 13 when the Reds won the game with 3 in the ninth. In 22 outings this season, he’s given up runs only twice. The loss was his first since 8/22/10 against the Astros. He’s certainly been lights out for a long, long time. So, the series moves on to the final two games, Wednesday night (Doc) and Thursday afternoon (Cliff). Wednesday’s game will be on ESPN. After a frigid 4-45 stretch, Chooch is now a red-hot 5-6 . . . Phillies have 10 extra-base hits in their last 2 games after having only 12 in the 10 previous games . . . Happy Birthday Dave Hollins (45). 1935: Babe Ruth has a last hurrah, hitting 3 home runs in Pittsburgh. The final one (#714) is the first to clear the right field grandstand at Forbes Field and is measured at 600 feet. 1951: New York Giants rookie, Willie Mays, who was hitting .477 in AAA, goes 0-5 against the Phillies in his major league debut. Lehigh Valley had its 6-game winning streak end with a doubleheader loss to Gwinnett . . . 3B Cody Overbeck hit his 13th homer, most in the organization, in a 5-2 Reading loss to Trenton . . . After losing 2-1 at Jupiter in 23 innings the day before, Clearwater lost by the same score in 9 innings . . . Lakewood was idle. It was quite a combination: Chase’s return, dollar dog night and warm, humid night at Citizens Bank Park. The result: a Phillies romp in front of 45,841, the largest regular season crowd in Citizens Bank Park history. Old mark was 45,775 on August 17, 2006. Chase was hitless in 5 at-bats but his teammates pounded out 14 hits and 10 runs. When the weather turns warm and humid, Charlie calls it “hittin’ season.” Well, Monday night was that. For the first time this season, the Phillies hit three homers in a game at home. Cole benefited and improved to 7-0 in his career vs. the Reds. 13 of the previous 14 games were decided by 3 runs or less . . . It was the first win in a while without a save from Madson . . . J-Roll’s Aces: students from R. R. Wright Elementary School are the guests of Rollins Tuesday night . . . Wednesday night’s game will be on ESPN TV. 1928: In the first game of a doubleheader at Philadelphia’s Shibe Park, a record 12 future Hall of Famers take the field in the Yankees 9-7 win over the Philadelphia A’s. The number doesn’t include non-playing Hall of Famers Herb Pennock, Stan Coveleski, managers Miller Huggins and Connie Mack and umpire Tom Connally. 1935: Cincinnati Reds host the Phillies in the first major league night game. Reds win, 2-1. President Franklin D. Roosevelt throws the switch at the White Houst to turn on the lights. Lehigh Valley was rained out . . . Reading was not scheduled . . . RF Anthony Hewitt had 3 hits, including his 6th homer and stole 2 bases as Lakewood ended a 6-1 road trip with a 6-5 win in West Virginia. The Threshers lost, 2-1, in a 23-inning marathon in Jupiter, the longest game in their franchise history. Clearwater scored in the 3rd inning, Jupiter in the 6th. The Threshers had more hits, 17-14, left on base, 22-12 and strikeouts by hitters, 20-15. They had the go-ahead run on base in each of the last four innings but couldn’t get the key hit, going 3-24 with runners in scoring position. CF Jiwan James had a single, double, triple in 8 at-bats. Both teams used 8 pitchers. Joe Savery was a DH-P-1B; Darrin Ruf, 1B-P, his first time on the mound in pro ball. Each tossed 2 scoreless innings. The marathon lasted 5 hours, 37 minutes. Attendance at the start of the game was 330. Everyone is hyped. Will he be the cure all for a sleepy offense? Perhaps, but most likely, it will take him a while to get in a groove. Hope fans don’t expect too much too soon. This is a crazy season. Five runs over the weekend resulted in two wins. Hard to believe. Instead of blaming the offense, credit must be given to the starting pitching. Doc, Cliff and Roy-O have up just three runs in 23 innings, a 1.17 ERA. The loss for Roy-O was his first ever at Citizens Bank Park after 10 wins (Astros and Phillies). So, the Phillies, still in first place and still with the best record in the NL, take on the Reds in four games starting on Monday night. Can’t wait to hear the ovation when Chase is introduced. Reds’ series ends Thursday afternoon. A year ago, Phillies were 5-2 against the Reds, 4-0 at Citizens Bank Park. Going back to the 2009 season, Phillies have won six straight at home. That doesn’t include the two wins in the National League Division Series last October. Phillies connections: Miguel Cairo and Scott Rolen. Last trade between the two teams: 7/30/07, LHP Matt Maloney to Cincinnati for RHP Kyle Lohse. Monday night, Doc’s Box—Roy will host children from YES, Inc and Lidge’s Legion—patients from The Children’s Hospital of Philadelphia are guests of Brad . . . Wednesday night’s game will be on ESPN. RHP Tommy Greene tossed the eighth no-hitter in Phillies history, 2-0, against the Expos in Montreal’s Olympic Stadium. First-place Lehigh Valley was 3-0 over the weekend, extending its winning streak to six in a row . . . Third-place Reading dropped two of three . . . Second-place Clearwater was also 3-0 . . . Sixth-place Lakewood swept a 3-game series in west Virginia to extend its winning streak to five straight. RF Domingo Santana had two doubles, a triple, fifth home run and four RBI in the last two games. This just in: Rockies win first at Citizens Bank Park since 2009 as first baseman homers three times and drives in seven runs. No, it wasn’t Todd Helton, a career .370 hitter against the Phillies, but Jason Giambi. He started in place of Todd on Thursday night. Jason was riding a 3-26 season and 0-18 over his last nine games. Oh, he had one extra base hit on the season, a home run. What happens? He hits three homers his first three at-bats and drives in all seven. 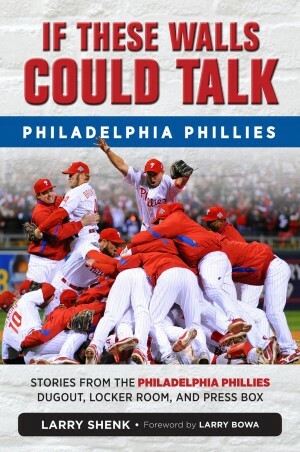 The Phillies lost the game and more as Joe and Shane went on the DL after the game. Joe was scratched from starting because of his ailing elbow. Kyle was the emergency starter and was roughed up, giving up five runs. So far, the Phillies have used 16 pitchers which include seven different starters. Back in 1976, the Phillies used 11 pitchers for the entire 162-game season. Randy Lerch was the 11th and he pitched in only one game. That’s a club record that will never be broken. Meanwhile, the offense continued its consistency of not getting hits and scoring runs. Last 13 games: .202 average, 2.4 runs per games, five wins, eight losses. AL champion Rangers come to Philly for a weekend series starting on Friday. Phillies are 106-129 in 14 years of interleague play. Against the Rangers, 4-2, 3-0 at Citizens Bank Park in 2005. Doc has faced the Rockies 20 times in the AL and is 7-7 with a 5.36 ERA. 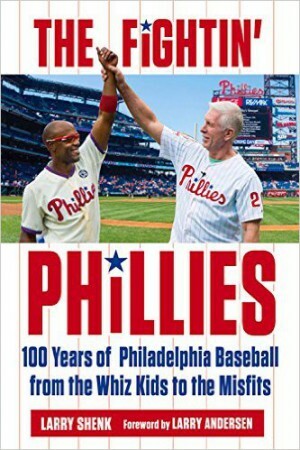 Phillie connections on the Rangers include reliever Arthur Rhodes, outfielder Endy Chavez and pitching coach Mike Maddux. Saturday’s game is a 7:10 p.m., prime-time FOX telecast. Lehigh Valley (at Scranton) and Reading (at Portland) were rained out . . . CF Jiwan James doubled to start the game against Port Charlotte. That was the only hit as Clearwater bowed 4-0, the Threshers 10th straight loss to the Rays. RHS Julio Rodriguez (5-2) lost his second straight. Chase was 0-2 with 2 walks . . . RF Anthony Hewitt and LF Miguel Alvarez had 3 hits and 3 RBI each as Lakewood won, 7-1, at Delmarva. Brilliant pitching by Cole and Ryan ended the Phillies four-game losing streak Wednesday night at Citizens Bank Park. The two combined for 11 strikeouts in holding the Rockies to one run. It was the first win ever over the Rockies for Cole. Ryan extended his scoreless streak to 11 innings and is 7-for-7 in save opportunities. He gave up a leadoff double in the ninth and then recorded three strikeouts. He’s given up one run this season, April 18. Cole was touched for an seventh inning run. Sine his first start at home against the Mets in April, his ERA at home is now 2.03. Once again the offense wasn’t potent but was able to scratch for two runs. Wilson, the No. 8 hitter, had two of the five hits, scored a run and drove in another. I guess it can be called small ball. Know Charlie would welcome some long ball but a win is a win. Phillies are 10th in the NL in homers and ninth in runs scored, a far cry from recent seasons . . . Thursday night, Cliff will host patients from St. Christopher’s Hospital as part of his Lee’s VIPs program . . . As part of Romero’s Rookies, J.C. will host children from Youth in Action Ministries. RF Domonic Brown drove in the winning run as first-place Lehigh Valley edged second-place Scranton/Wilkes-Barre, 5-4, in 11 innings. Brown has hit in 19 straight AAA games, dating back to 2010 . . . 1B Matt Rizzotti hit his 7th and 8th homers and drove in four as Reading coasted at Portland, 13-4 . . . RHP Jose Contreras gave up 3 runs on 4 hits in .2 innings (21 pitches) in a rehab start for Clearwater, a 6-1 loser to Port Charlotte. 2B Chase Utley was 1-4 with a first-inning RBI single . . .LHS Jesse Biddle (2-5) pitched six shutout innings (5 hits, 4 walks, 8 strikeouts) as Lakewood won, 2-0, at Delmarva. Well, the frying pan gets hotter. After a 3-5 road trip, back home Wednesday night to face the Rockies (two games), Rangers (three) and Reds (four). All three teams are in first place in their respective divisions. Offense is still struggling while the starting pitching continues to keep the team in the games. Their lone run on Tuesday night was set up by an error. Roy-O did a pretty decent job in his return to the mound, his first major league game since April 21. Stutes, who had been very impressive, had to leave the game with yet another injury. Want some good news? Phillies are 6-0 on Wednesdays. Phillies are 9-1 vs. LHP and face three in the next five days . . . Rockies are hitting .239 as a team with a 3.99 ERA for the pitching staff but they have returned to the top spot in the NL West. RHS Vance Worley, in his first AAA start since being sent down a couple of days ago, allowed three runs in three innings but Lehigh Valley came back with a 7-3 win at Scranton. RF Domonic Brown returned from his injury and was 1-2 with two RBI . . . Reading started a three-game road trip in Portland and was crushed, 14-4. RHS Austin Hyatt (5-2) allowed six runs in 3.1 innings in getting the loss . . . RHS Trevor May (3-2) struck out 11 in seven innings as Clearwater won, 3-2, in Bradenton . . . RHS David Buchanan (5-2) yielded five runs in 3.1 innings during a 6-5 Lakewood loss in Delmarva, the first of 25 meetings against the Shorebirds. Let’s see, the season has passed the six-week mark. After 40 games, the Phillies are 25-15, the best in the NL and the exact same record as a year ago when they the majors in wins. That’s encouraging, discouraging and somewhat surprising. Encouraging in that this team hasn’t had Chase or Brad for one game with a bushel basket of others on the DL or sidelined with injuries, Shane being the most recent. Discouraging because of the offense. For the first time this season, the Phillies have lost three in a row. Monday night they had five hits, which follows four and three in the other losses. Folks, that’s 12 hits in three games. They are now 7-7 in May, scoring 37 runs in the wins and 10 in the losses. Somewhat surprising. The five-man starting rotation was supposed to carry this team and for the most part, it has. Yet, Roy-O and Joe have missed time because of injuries. Doc hasn’t won since May 5 and Lee’s last win is April 14. Lee walked seven all season until Monday night when he walked a career high (227 starts). Lately, the best pitching has come from three rookies, Antonio, Michael and Vance and Vance is back in AAA. During this 20-game stretch against teams that are postseason candidates, the Phillies have been seeing some good pitching. Tuesday night, lefty Garcia, St. Louis’ best hurler faces the Phillies slumbering offense. Roy-O is facing major league hitters for the first time since April 21. Wednesday’s game against the Rockies at Citizens Bank Park is an ESPN telecast . . . Lee’s next start will be against the team that went to the World Series with him as an ace, yes, the Texas Rangers, who open a weekend series on Friday night. Lee will pitch on Saturday, a 7:10 prime-time FOX national telecast . . . Phillies are 17-2 when scoring four or more runs. RHR David Herndon recorded his first AAA save as Lehigh Valley won, 4-2, over Norfolk . . . Reading was not scheduled . . . Clearwater fell, 3-1, on only 5 hits in Bradenton . . . DH Anthony Hewitt and RF Zach Collier had 3 hits each in a Lakewood 8-3, 12-inning loss to Hagerstown. 1979 – The wind is really blowing out at Wrigley as the Cubs and Phillies join in a wild ten-inning slugfest won 23-22 by the Phillies Dave Kingman has three home runs and six RBI for the Cubs while teammate Bill Buckner, a grand slam and seven RBI. Mike Schmidt two home runs include the game-winner in the tenth inning. The eleven home runs between the two teams ties a major league record. Clutch hitting was lagging on Tuesday night and for six innings on Wednesday night. But, two pinch-RBI and Shane’s solo homer produced three runs and tied the game, 3-3, after eight. J-Roll then came through with a two-out, two-run game-winning single in the top of the ninth and the Phillies left Miami with a 5-3 win. Cliff once again pitched well enough to win but with him on the mound, the Phillies have only scored in four innings out of 43 innings. Last time the Phillies scored with him on the mound was the sixth inning on April 20. His next start will be Monday night in St. Louis, meaning he’ll have gone over a month since his last win, April 14. Hard to believe, Harry. A pulled hamstring by Schneider cost Lee a run and perhaps a win. Lee singled to center in the fifth inning but Schneider, trying to score from second, pulled up lame rounding third base. R-Roll made the third out and the Phillies remained scoreless. Chase, Chooch and Roy-O are scheduled to play for the Clearwater Threshers on Thursday night, a day off for the big league Phillies. Game time against Palm Beach is 7 p.m. and plenty of tickets are available. With Schneider probably headed for the DL, Chooch could come off that list on Friday, if everything goes fine on Thursday. In games in which the Phillies have scored four or more runs, they are 16-2. Three or under, 8-10 . . . Phillies are 19-4 in last 23 games at Sun Life Stadium. Marlins get a new ballpark next year but Phillies will be sad to see Sun Life go . . . On get away games, Phillies are 7-1 . . . When out-hitting the opponent, they are 18-4. Lehigh Valley won its third straight in Toledo, 8-1. RF Domonic Brown extended his AAA hitting streak to 16 games (dating back to 2010) . . . RHP Austin Hyatt (5-1) gave up 2 runs in 6.2 innings as Reading ended a two-game losing streak in Trenton, 7-3. 1B Matt Rizzotti, 3 hits, including his sixth homer . . . C Sebastian Valle homered over the Tiki Pavilion roof in Clearwater’s 5-2 morning win over Palm Beach. RHS Justin Friend is 12-12 in saves . . . Lakewood also played a morning game in Greensboro and won 7-5. 1B Jim Murphy hit his 9th homer and set a Lakewood career record with his 24th homer. RHR Tyler Knigge pitched 3 hitless, scoreless innings for his first pro win. What profession or occupation might you have chosen if you didn’t play baseball? The question has been posed to Phillies Alumni. “For the longest time as a kid, I thought I wanted to be a veterinarian, then I found out how many years of college it would take! Scrapped that idea. Now I want to be the next PHANATIC!”, LHP Dan Plesac (2002-03).